Dr Duncan Sutherland, who has recently completed his PhD in the Institute for Energy Systems (IES), has been awarded a Worshipful Company of Scientific Instrument Makers (WCSIM) Postgraduate Prize. The award is worth £2000 and also means Duncan has been invited to join the livery as a scholar. Duncan's PhD work was part of the Reliable Data Acquisition for Tidal Project. This flagship multi-million pound, multi-partner project investigated the installation and operation of a commercial tidal turbine as well the effects of the turbine on its environment and the environment on the turbine. The project was based at the Fall of Warness Site in the European Marine Energy Centre (EMEC). Duncan's work focused on the novel use of Single Beam Acoustic Doppler Profilers, a newly available version of the more common ADCP (a multiple beam Acoustic Doppler Current Profiler) to measure water velocities and their turbulence parameters at this site. 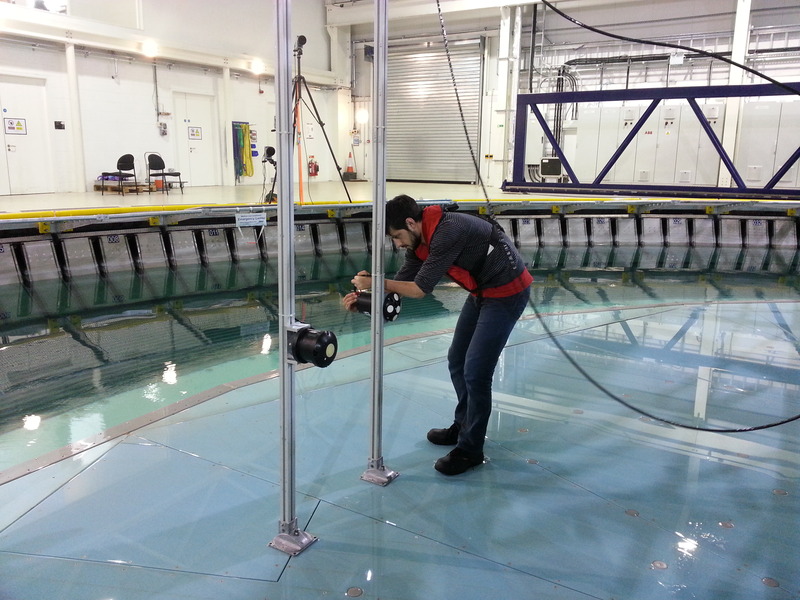 Duncan's work showed the advantages of this new technology in measuring the scales of turbulent eddies at such sites, which are a key parameter as they effect the loadings on tidal turbines. The Worshipful Company of Scientific Instrument Makers (SIM) is a modern livery company which supports scientists at all stages of their careers from schools through university and up to experienced professionals such as our Head of School, who has been instrumental in affiliating the School of Engineering with the WCSIM. The postgraduate prize runs annually and there is also a research fellow scholarship with up to £5000 a year. Please get in touch with the Head of School if you feel your work may qualify for one of their awards.